Today i am going to review The Body shop Vitamin C Microdermabrasion, a product from famous beauty care brand. 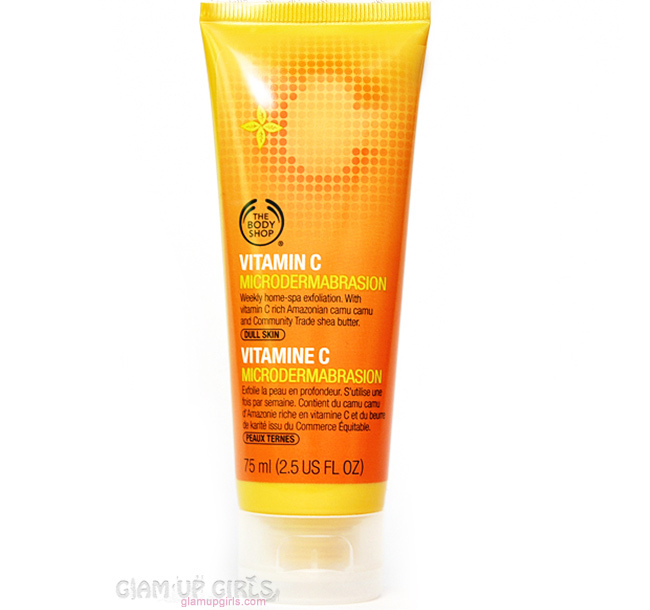 Their Vitamin C range have become very popular because of its effectiveness. Vitamin C Microdermabrasion is basically a exfoliator where little grains exfoliates the dead and dull skin and makes the complexion bright and smooth. Lets talk about this product in detail. 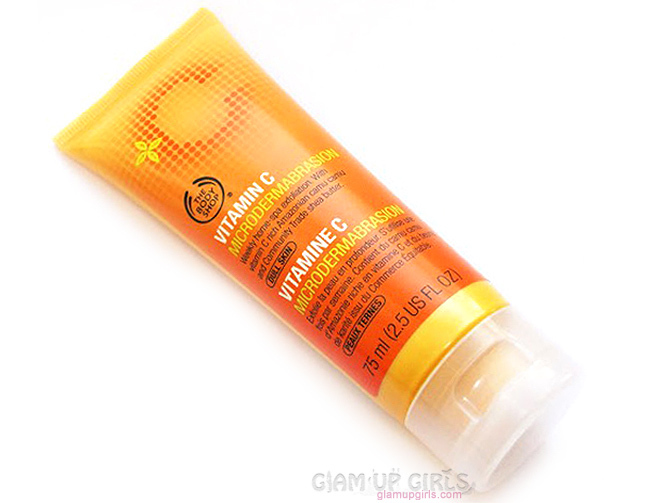 This product comes in orange-yellow tube packaging with flip cap. The formula of this exfoliator have thick creamy texture with brown exfoliating particles. The consistency helps the product to not overflow from tube and easy to handle while dispensing it out. This product have citrus smell which is not bothering. As the texture is thick, it also needs very little amount for the face. The grains are perfect to exfoliate the dead skin but keep the light hand if you have sensitive or broken skin. To use, first wet the face and apply little amount on face and rub in circular motion for a minute while applying pressure on more rough areas like nose, chin or forehead where you can have more dead skin. Then rinse it with water and pat dry. It is suggested to use this product once or twice a week but i would suggest it only once a week or it can be harsh on skin. The after result are very noticable and you can clearly see a glowing complexion after the dead skin is removed. It gives the effect of a complete facial. You can see that the slight black heads have been removed or if you have bad condition of black heads, after using it few times the result will be better. The skin feels clean and better without making it dry. Simple moisturizer is enough after using this product. Overall it is a great product and perfect for summers when your skin become dull and need proper care because of heat and humidity. The Body Shop Vitamin C Microdermabrasion is priced at £18.